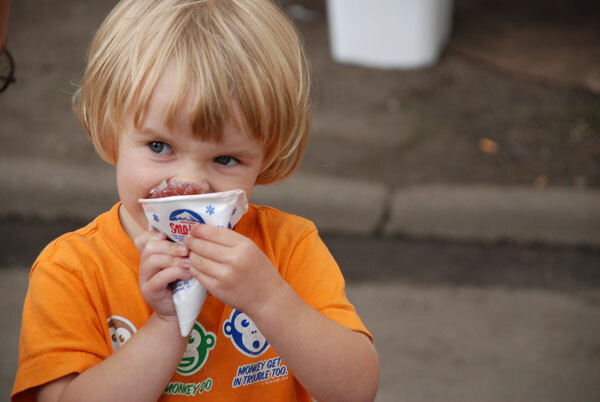 Shake up your State Fair routine and stop in at the YMCA booth, between August 21 and September 1. Find us in the HealthFair 11 exhibit, located in the Crossroads building at Cooper St. and Dan Patch Ave. Pick up “Healthy on a Stick,” featuring exercise and nutrition tips. For a chance to win a gym bag full of Y gear, take a picture with your “Healthy on a Stick,” while you’re at the Fair and post it to Facebook or Twitter with the @ymcatwincities tag. Weigh yourself and learn about your body mass index. More than 10,000 people stepped on the scales at the Fair last year! Get fitted and learn about ways to determine if a life jacket that fits properly. Play the “Build a Healthy Lunch” bean-bag toss. Outside of the booth, you can see us marching in the Daily Parade on August 25, which is Seniors & Kids day, featuring reduced admission for ages five to 12 and 65 and over.